Ideal size for hanging baby & toddler clothing. Great for tops, dresses, dungarees, skirts, babygrows and much more. 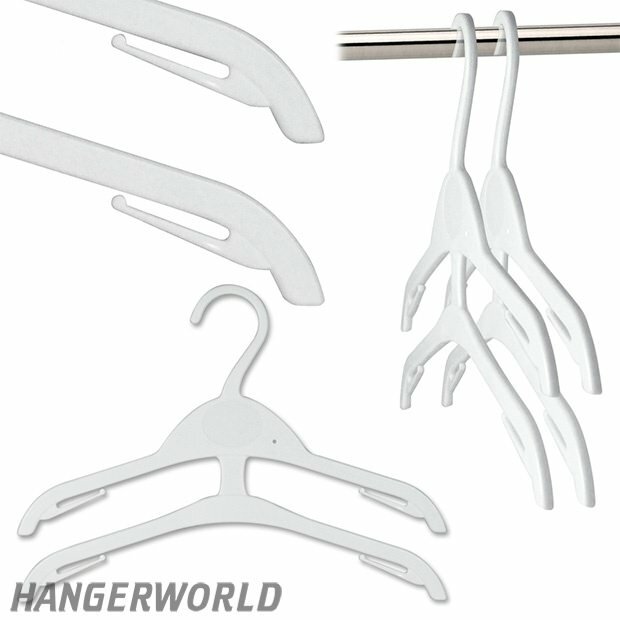 Hang two items separately on a single hanger. Quality smooth plastic with 5mm thickness. Lower skirt / trouser loop slits. For an organised tidy wardrobe. Also great for retail display - with kimble tag hole. Size: Width 30cm (11.8") approx.